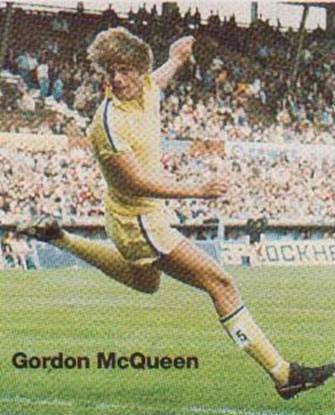 Date: Saturday 10th September 1977. 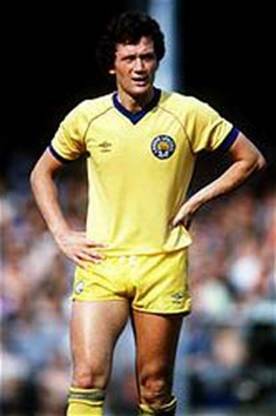 Scorers: Leeds United: Hankin (2). 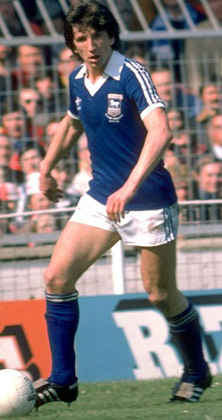 Ipswich Town: Mariner. 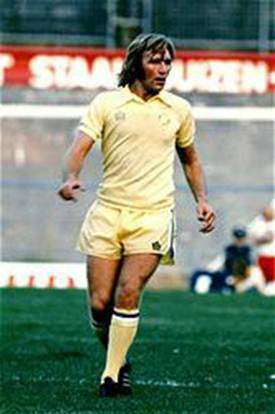 Leeds United: Stewart; Cherry (Stevenson), F. Gray; Lorimer, McQueen, Madeley; E. Gray, Hankin, Jordan, Currie, Graham. 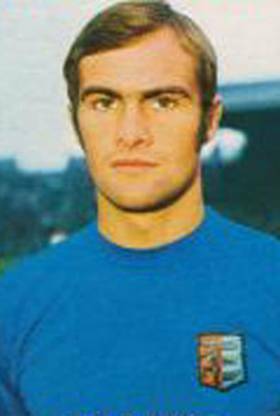 Ipswich Town: Cooper; Burley, Tobbot; Talbot, Hunter, Osman; Osborne, Gates, Mariner, Whymark, Woods. 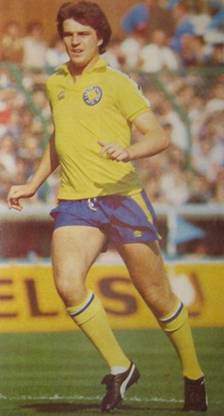 Ray Hankin, although only twenty-one years old, presented a fearsome sight to opposing defenders and he made his considerable presence tell to good effect when Leeds United successfully dealt with the threat of Ipswich Town in a First Division tussle in September 1977. 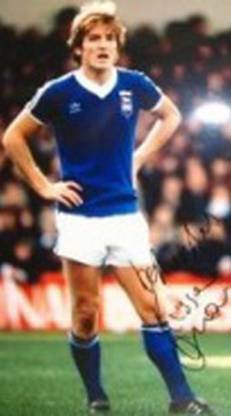 The six foot two inch, thirteen stone thirteen pound Geordie had scored three goals in his first three outings of that season and he took his tally to five in four games when he found the target twice as Ipswich were beaten 2-1. 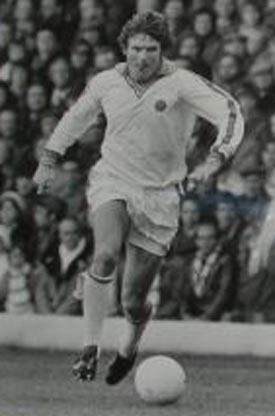 His five goal tally made him the joint leading scorer in the top division and though he went on to score twenty league goals in thirty-three appearances, United had to be content with finishing the season in ninth position. 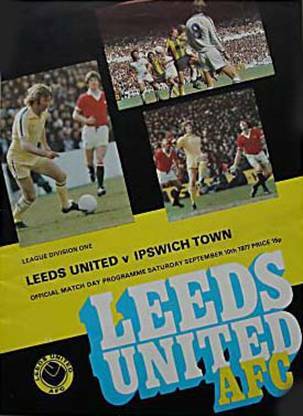 Hopes were high when Ipswich arrived at Elland Road for this early season encounter. 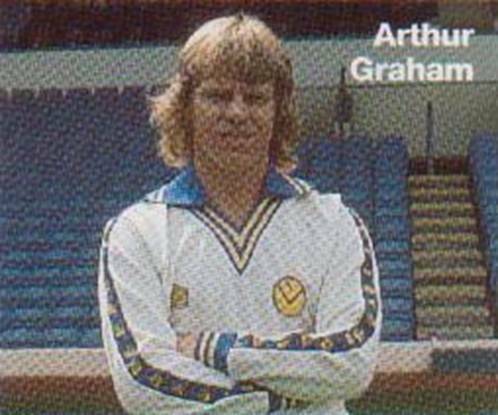 United had lost one of their four opening league games and had won through their first league cup match and Bobby Robson’s side came to Elland Road having made a good start, remaining undefeated in league and cup to that point. 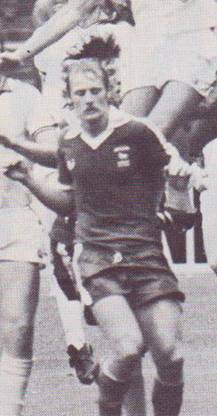 Trevor Cherry passed a late fitness test on a groin strain, a legacy of his display for England in midweek, and Eddie Gray, who had been troubled by a leg strain, returned after a three match absence which left twenty-one-year-old Byron Stevenson on the bench. 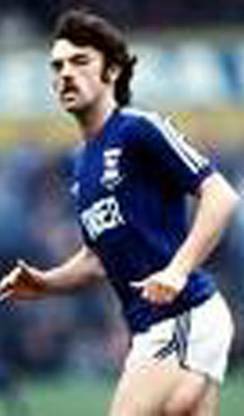 Ipswich, though, were without injured stars John Wark and Mick Mills and their England defender Kevin Beattie failed a late test which allowed eighteen-year-old Russell Osman to continue in the side. 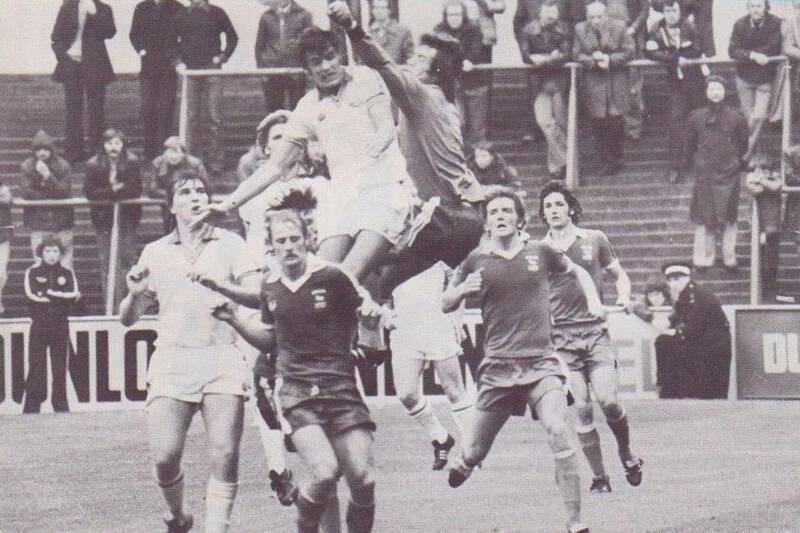 After a goalless first half, Ipswich took the lead through their England striker Paul Mariner, who was on hand near the penalty spot to sweep the ball past David Stewart after Les Tibbott and Eric Gates had linked well to build the attack. 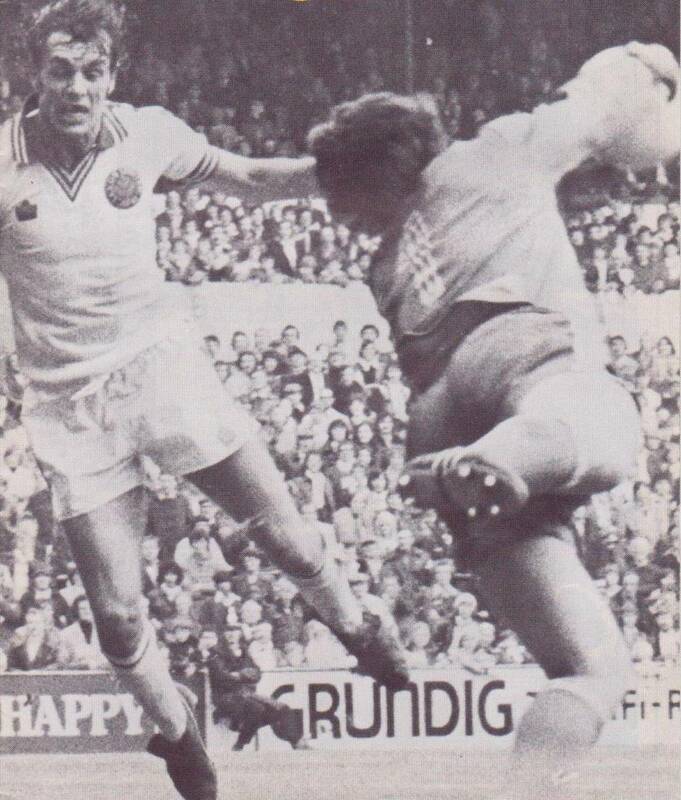 Two minutes later though, Ray Hankin headed United level. 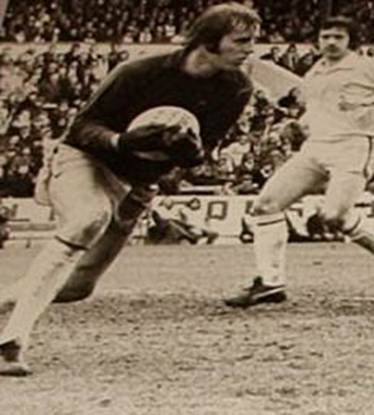 Tony Currie began the move with a change of direction to send Arthur Graham racing away on the left. 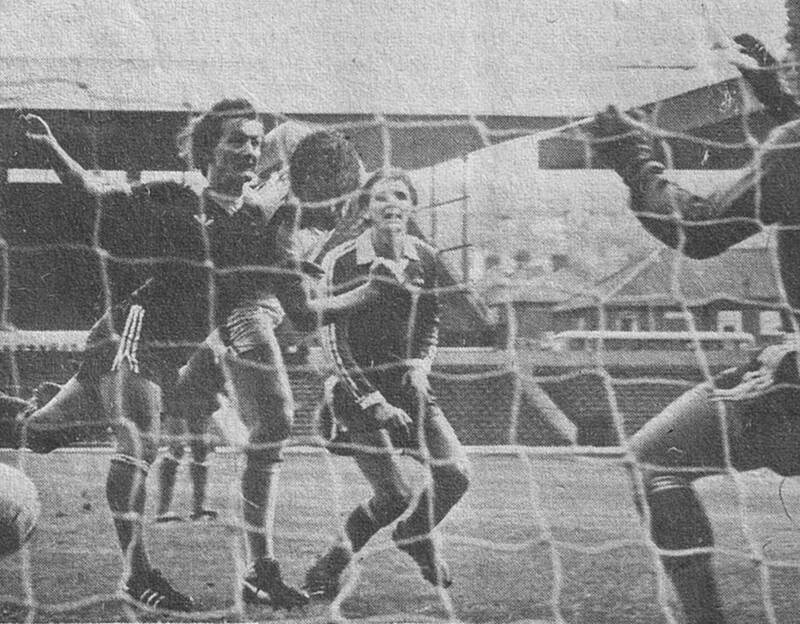 The Scottish winger hit a fine swerving centre and Hankin launched himself into a dive to head in from six yards. 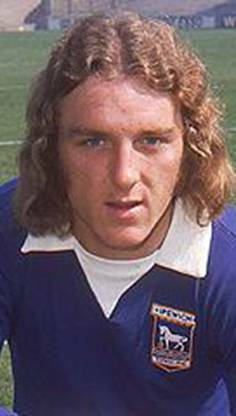 Byron Stevenson was Kevin Beattie failed a fitness check John Wark and Mick Mills were missing for Ipswich.